All mammals (including dogs, cats and humans) have numerous beneficial bacteria living in their digestive tracts (gut). 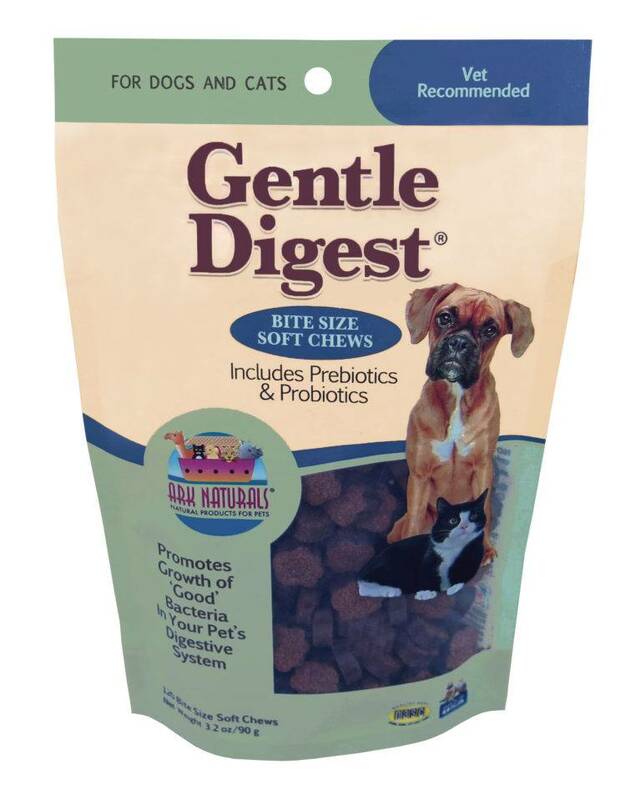 Gentle Digest™ contains prebiotics and probiotics. Probiotics provides a source of beneficial intestinal bacteria and also helps to encourage their growth. Prebiotics help stimulate the growth and/or activity of probiotics. Helps to support a healthy immune system and support intestinal balance. Helpful for periodic issues with gas, flatulence, smelly and irregular stools. Helps to support digestion and absorption of critical nutrients and senior pets and pets under stress. Made in the USA. Feeding Directions: For dogs and cats 12 weeks and older. supplemental feeding only. Contains a source of live (viable) naturally occurring microorganisms. * Not recognized as an essential ingredient by the AAFCO Dog/Cat Food Nutrient Profile.